As an individual or a business, it reaches a point where you are forced to turn to fundraising. This can involve using up your personal savings, borrowing from friends and family members, or the most common option is taking a short-term loan. 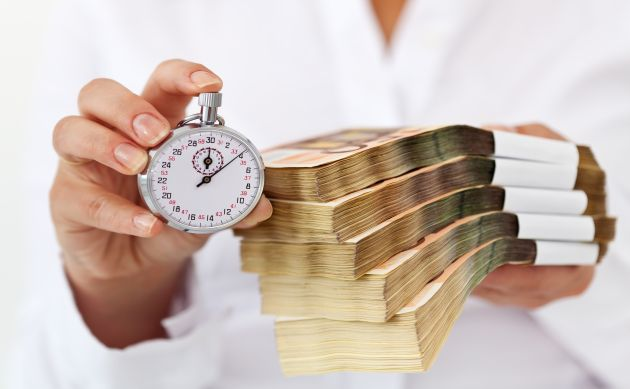 A short-term loan usually has a maturity period of less than two years. Every form of fundraising has its own benefits and drawbacks. In this article, we look at some of the advantages and disadvantages of short-term loans. This is perhaps the most significant advantage of a short-term loan. Borrowers are subjected to limited and quick procedures while applying for this type of loan. Typically, most short-term loans close in hours or within a single day. So, if you need some quick cash, this is the only way to go. Not only is the approval time faster, but with these type of loans, the documents that you will be required to submit before the loan is processed are much less compared to the requirements of a long-term loan. This is reasonable given that you aren't borrowing a huge amount of money which is less risk to the lender. You can apply for a short-term loan depending on your current condition. For instance, if you have a bad credit history, you can use this loan to improve your credit score. You can repay the loan amount within few months, and soon your credit score will improve which will enable you to take another loan at a lower interest rate. Another benefit of the short term loan is paying less interest compared to what you would have paid on a long-term loan. Although most lenders tend to charge higher interest rates, but at the end of the loan, you actually pay less interest compared to long-term loans with low-interest rates. short-term loans offer a quick solution that is too easy for you to get used to it, and you may easily fall into a cycle of repeated and unsustainable borrowing. You may find yourself borrowing money even when you don’t need it. Since you are required to repay this loan within a short period, the monthly repayment may sometimes be so high depending on your loan amount. You are financing the principal amount plus accrued interest over a shorter period of time. This means that you must pay a huge chunk every month to complete the repayment on time. Short-term loans may be bad for a business in the long run. Keep in mind that the goal of any business is to make a profit, and if you are taking short-term loans regularly, then it means a significant portion of the profit you make covers the interest accrued on loan.